Hello friends we’re hosting an open mic for the first time at Cafe City Monk. Do you think you’re funny? Or you’ve a story you think that is funny and people will laugh at it? So come register here or come as an audience to encourage the new comics and the local comedy scene. This is an open mic where some seasoned and some new comics will try their new and some old material. See how a joke is born. Also. grab a chance to see live failure. This open mic will be hosted by two successfully failed people in various field. Laksh and Nisarg who are Ahmedabad’s most unfunny people. Just kidding. 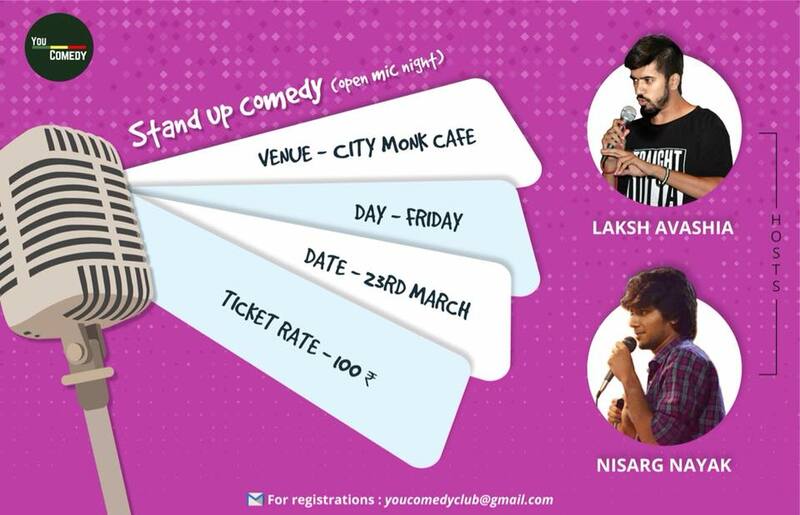 The venue for the show is at cafe city monk, S.G. Highway. So be there with your friends.